We were delighted to be asked by Dún Uladh to participate in the Remembering Bunting Festival this year. 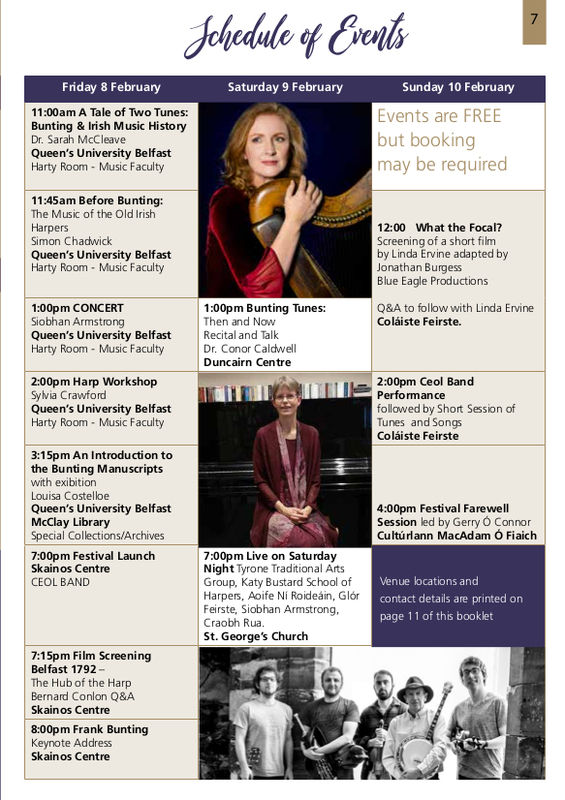 A weekend of FREE events to honour the great Irish music collector Edward Bunting (1773 – 1843). At nineteen Bunting was employed to transcribe the music of the Irish harpists at the Belfast Harp Festival of 1792. The tradition of the ancient Gaelic harpists was dying out and the festival, and Bunting’s commission, was an attempt to rejuvenate and preserve the tradition. For Bunting it inspired a life long interest in collecting and arranging Irish folk music and song. He published 3 influential books on Irish music in 1796, 1809 and 1840. The manuscripts themselves are of much more interest to researchers; partly because so much was left was unpublished, and partly because the music is truer to its original form. Our contribution to the Festival is an exhibition and introduction to the Bunting Manuscripts. It will be held in the Special Collections Reading Room. Unique musical notebooks, Irish song books, letters and more will be on display. Learn about the rediscovery of the collection by Charlotte Milligan Fox and how it came to be in Queen’s University. The event is free but please email specialcollections@qub.ac.uk to secure a place. The weekend includes many other musical events and talks, a number of which are being hosted by the Music Department in Queen’s. See below for all of the events, and through the link for the full Remembering Bunting Festival Programme 2019. 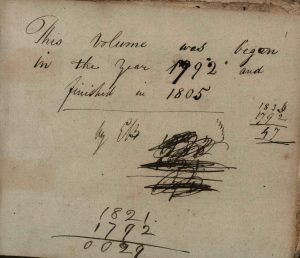 Visit our Digital Special Collections & Archives to see digital copies of some of the Bunting Manuscripts (MS 4).